Technically speaking, you could buy sod anywhere online or at a big box store. But, if you want your Northern Utah lawn to really flourish, you recommend choosing the locally-grown sod from The Dirt Bag. What makes our sod so special? 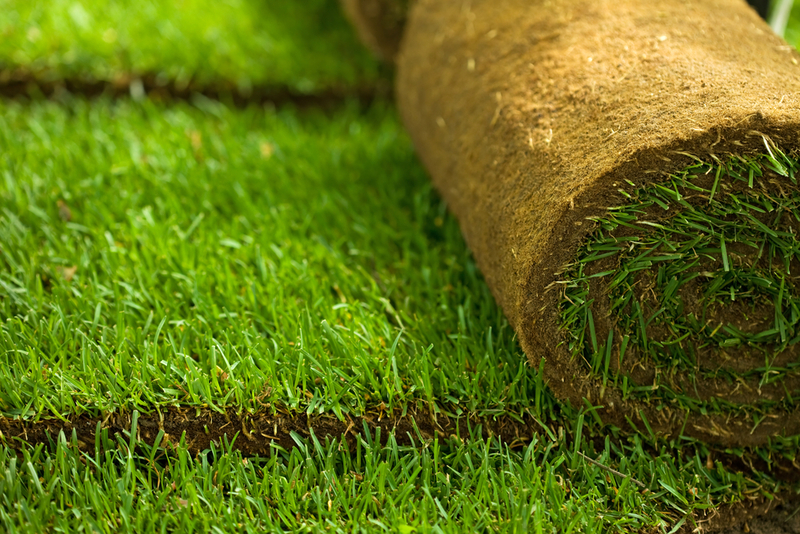 Let’s look at the differences between our high-quality Utah sod, as compared to the alternatives. Basically, sod – or turf grass, as it is also known – is grass that has already been planted in soil. Where the grass was planted makes a big difference in how well it will grow on your property, here in Utah. If you live in Northern Utah, you’ll get the best results from sod that was grown here. Buy yours online or through a retail chain, and you’re likely to end up with turf grass that isn’t well-suited to this area’s climate conditions. The Dirt Bag delivers the finest Kentucky bluegrass sod fresh from our West Jordan, Utah farm. Our locally-grown sod was specifically bred to thrive in the northern Utah climate. And, when you buy from us, your lush, green lawn will stand up to the elements and remain healthy and beautiful. Picking up turf grass from your local garden center or big box retailer involves a large truck and lots of heavy lifting on both ends. You may even need to make several trips back and forth, to carry all of your turf grass rolls. Ordering locally-grown sod from us is much easier. In fact, we’ll bring the turf grass to you. And, since we’re heading in your direction anyway, we can also deliver soil, fertilizer, mulch and any other landscaping products you need. Because we are located in West Jordan, we can easily come out to your northern Utah property for a consultation or to address any of your sod concerns. Getting someone from an online or big box retailer to visit your property could be difficult, if not impossible. Can you find cheaper turf grass? Perhaps. But our prices and delivery fees are quite competitive, particularly when you consider the long term. Our Kentucky bluegrass sod is designed to grow beautifully with a minimal amount of water. Unlike many turf grasses, ours doesn’t need constant watering. One or two sessions each week should be plenty, even in the most extreme weather conditions. That means you’ll save big on your water bill. And, since our turf grass was created to flourish in the Northern Utah climate, you’ll also spend much less time messing with potentially toxic fertilizers and pest control chemicals. To learn more about our many products – from garden soil to mulch and play sand – call or visit The Dirt Bag. We are located in West Jordan, Utah, but we offer delivery services throughout the Salt Lake City area. We look forward to helping you cultivate a lush, green lawn with our locally grown Utah sod.